Geometry Problem 1142 Solution sent by Stan & Mihai Fulger, Isogonal Lines, Circle, Center, Radius, Perpendicular Bisector, Circumcenter. 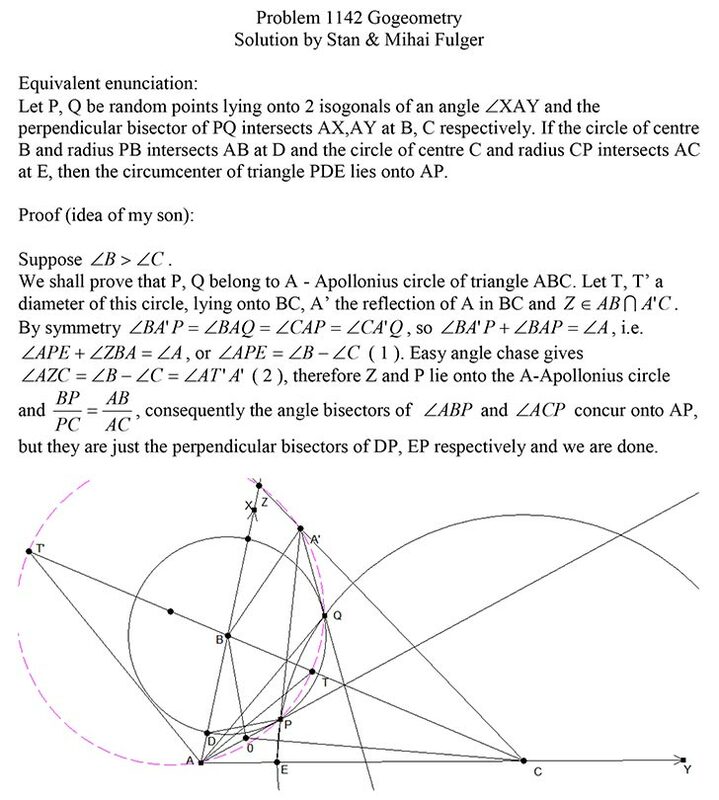 Home | Search | Geometry | Problems | All Problems | Open Problems | Visual Index | 10 Problems | 1091-1100 | Triangle | Circle | Isogonal Lines | Perpendicular Bisector | Circumcenter | Email | Solution / comment. Last updated: Aug 13, 2015 by Antonio Gutierrez.